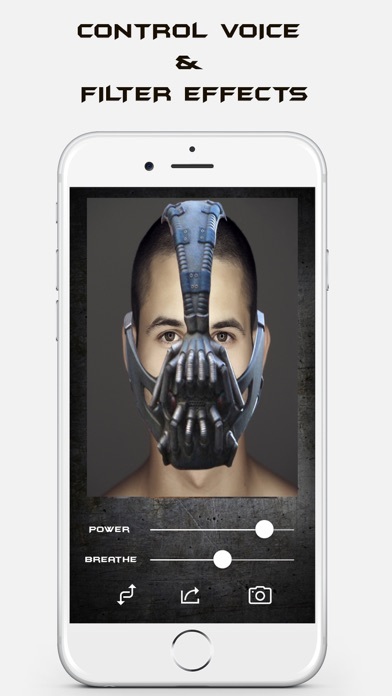 Superhero Voice Changer - Bane Edition Transform yourself and your videos and live the Bane character with Bane Booth! Simply take a video of yourself or upload a video from the camera roll and see your videos transform you into Bane. Bane Booth also allows you to control Bane voice with special Bane voice effects, like power, speed and even breath! 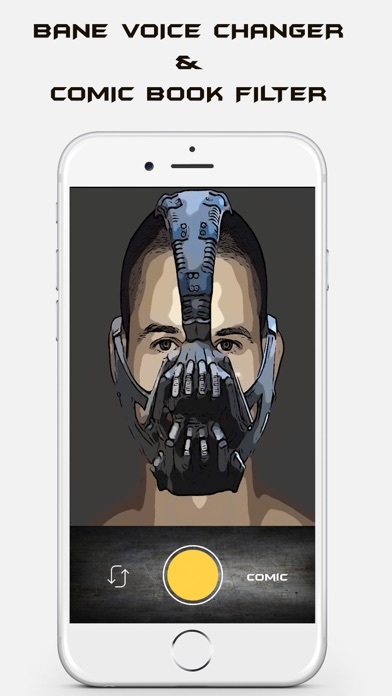 When done transforming your videos into Bane, save it to your custom library to share it with your friends on Facebook, email, you tube, sms or even your iPhone camera Roll!